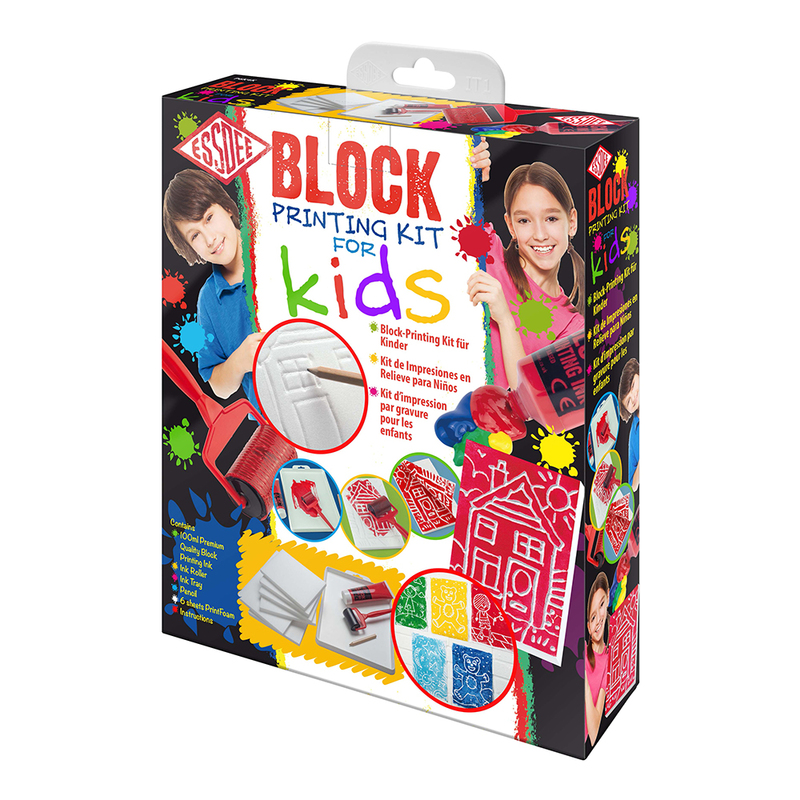 Have fun and learn about relief-printing without the need for sharp tools with the Essdee Block Printing Kit for Kids. 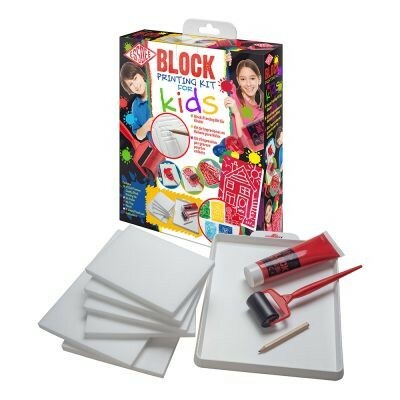 This set includes 6 sheets of PrintFoam for kids to indent, emboss and cut to create colourful artwork. Use the technique to create your own pictures, posters, montages, greeting cards, gifts, decorations, scrapbooking and more. 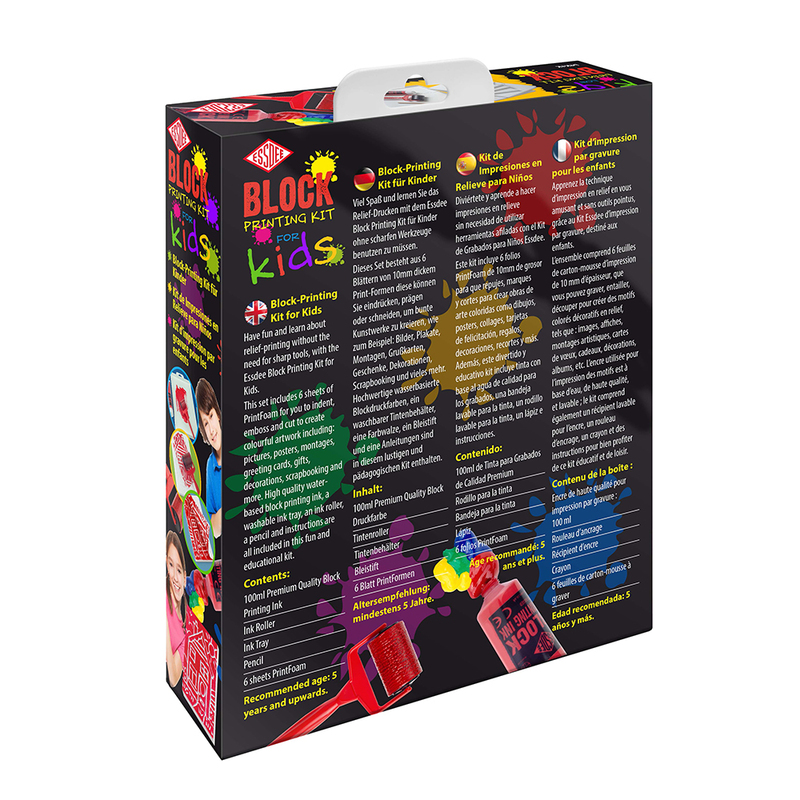 High quality water-based block printing ink, a washable ink tray, an ink roller, a pencil and instructions are all included in this fun and educational kit.